OK, a work of art may be a stretch. 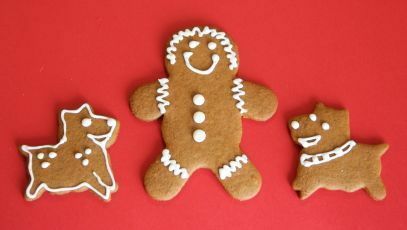 But dog treat icing is one of the most enjoyable aspects of making homemade dog biscuits! 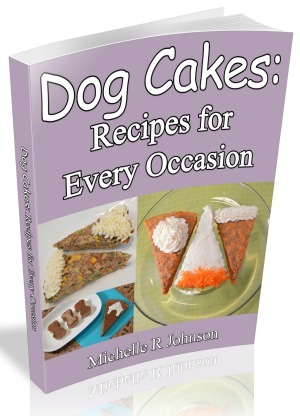 We have several dog cake recipes to get you started. 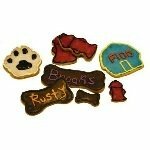 Really, if you can imagine it, you can decorate it on a dog treat. You can also use food coloring to make the icing just the color you want. A small amount of people safe food coloring should not cause any problems. Not really the creative type? No problem, you can make your designs as simple as you want. 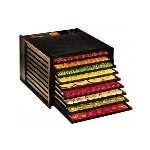 Or you can review how some of the fancy dog bakeries are decorating their goodies. Then customize it for your own pampered little one. 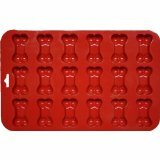 The same guidelines that apply to your homemade treats should apply to the icing as well. For example you will want to avoid making foods poisonous to dogs by being aware of the amount of sugar, salt and other ingredients included in the recipe. Otherwise you may be dealing with an upset tummy over something that is suppose to be a special treat! Icing or dog treat frosting is really just a coating on treats and cakes. 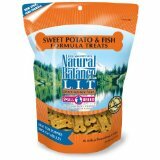 You can choose from several dog treat ingredients to make your dog treat icing. White Chocolate - this does not contain high amounts of the toxic compounds methylxanthines, specifically theobromine and caffeine, that can be toxic to your dog. However, this ingredient is very high in sugar, so you will want to use it sparingly. 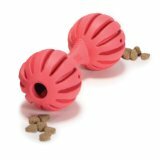 Be sure to read the tips above for decandent dog treat frosting. Cornstarch - Simple cornstarch can be transformed into dog treat decoration. If your dog is sensitive to corn, use one of our many helpful substitutions. 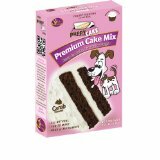 Icing makes your dog cakes and treats special and even gift worthy for that special dog friend. 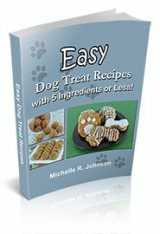 With so many choices for dog frosting, you'll never have boring homemade dog cookies again!